Cut the stockings so that one piece of the stocking can cover one entire egg, make sure to leave 2 centimetres, for the rubber band to rap around. As you will be using all of the stocking, once you cut the feet area (which only has one hole). You may need to leave 4 centimetres as there will be two places in which you will need to use a rubber band to make sure the egg does not slip out of the stocking. 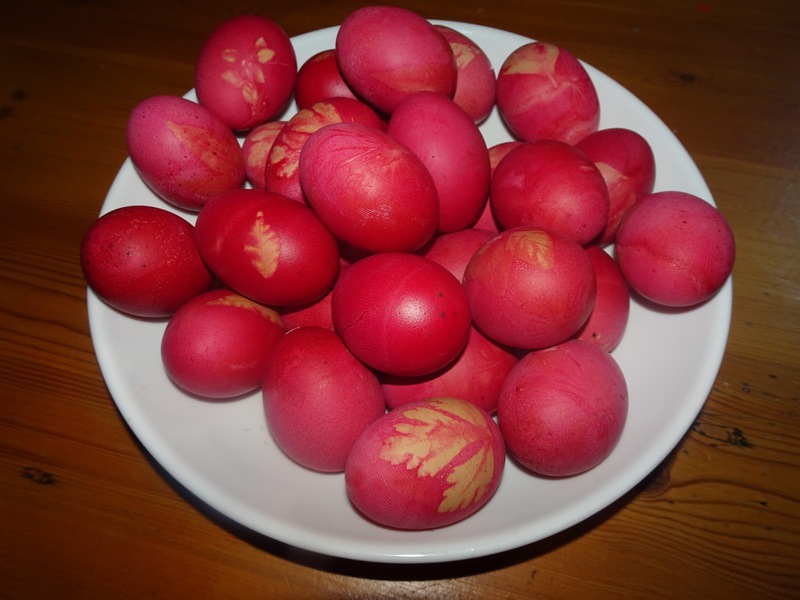 Before placing the egg into the stocking pouch (make sure it has already got one side of it which has a rubber band on it) decide what design you want on you egg, it could be one parsley leave or it could be multiple leaves and flowers. Once decided, place the leaves onto the egg and make sure to position them as you want them to be as the leaves will not stick to your egg. 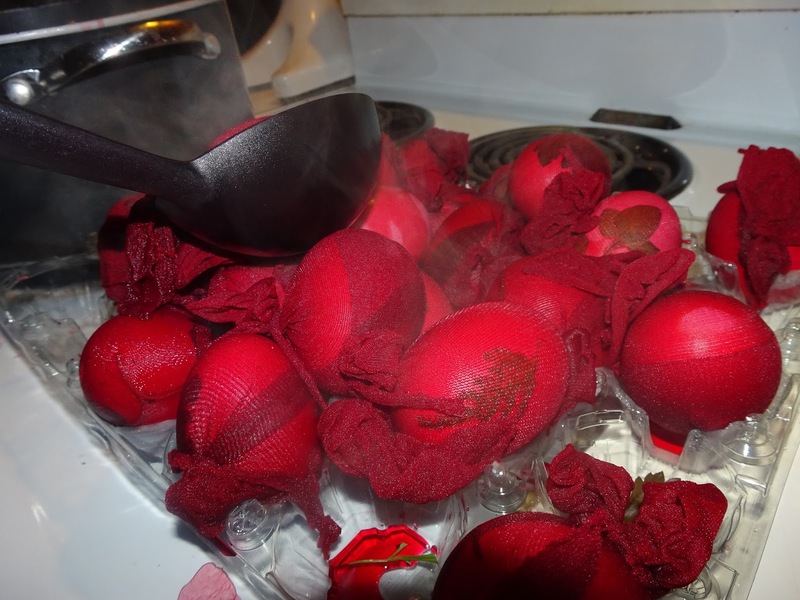 Place the egg into the stocking with the design (your design may move a bit because of the stocking) Once your egg is in the stocking twist the opening so it is closed, get your rubber band and tie it onto it tight to make sure it does not move or come open. Do this until you cover all of the eggs. 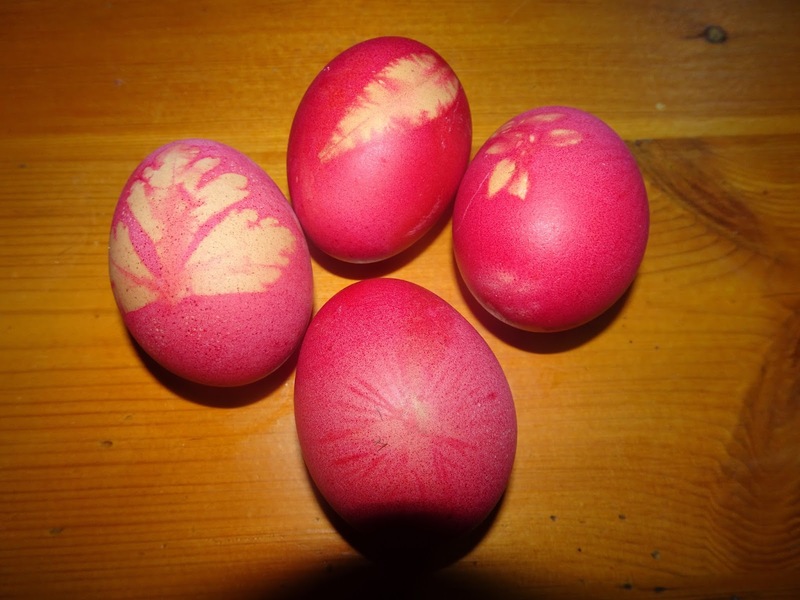 For dyeing your eggs you must make sure they are at room temperature, pour 3/4 of lukewarm water (30°C/86°F) into your pan, add 4 tablespoons of vinegar, add the egg dye and stir vigorously. 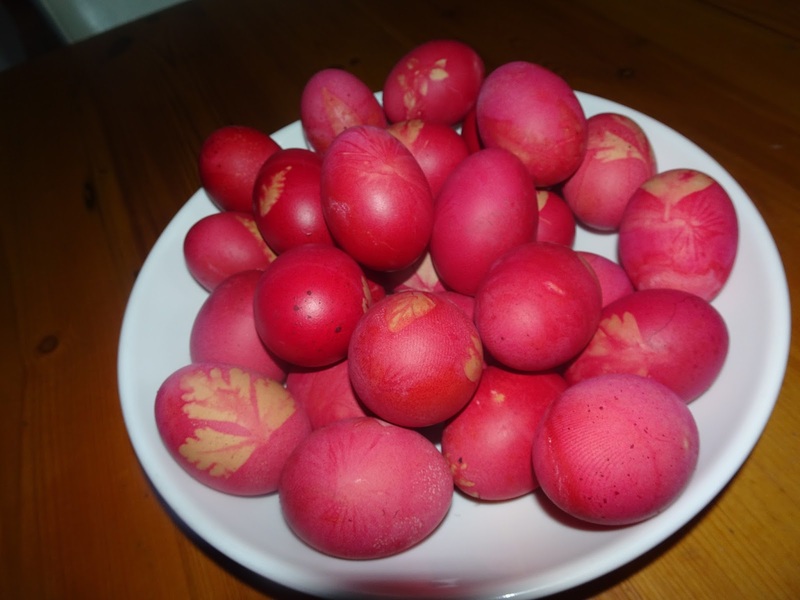 Place only one layer of boiled eggs into the pan and leave them in the pan for only 3 minuets to dye. 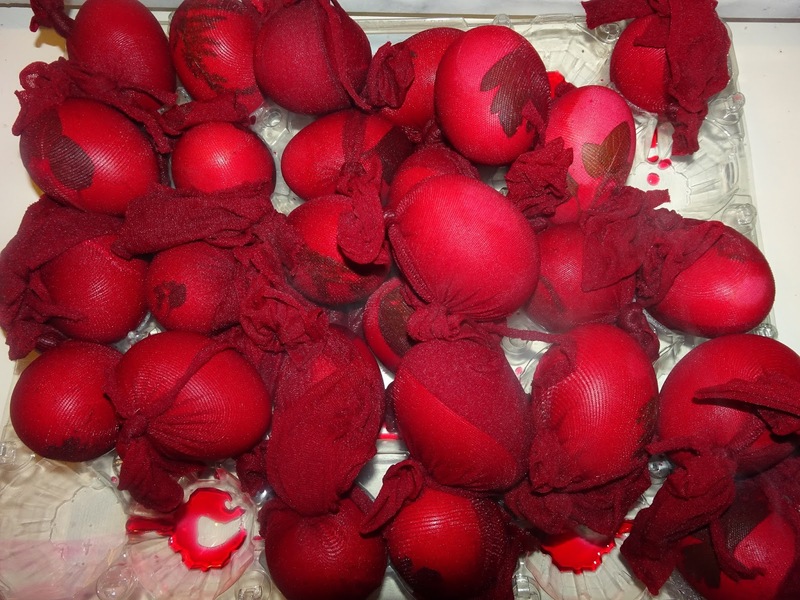 Put on the plastic gloves and take the eggs out and allow them to dry very well before taking the stockings off the eggs. Repeat this until all of the eggs are dyed.